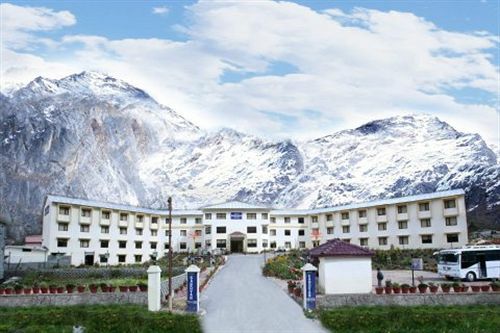 Nearby to the sacred Badrinath Temple, Sarovar Portico is classic luxurious hotel of the religious town-Badrinath. 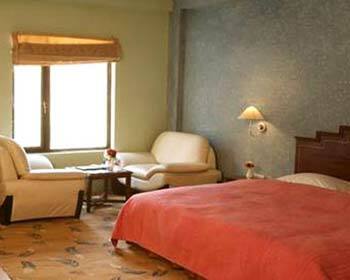 The hotel has earned a good name by offering world class facilities and stunning view of the valleys. 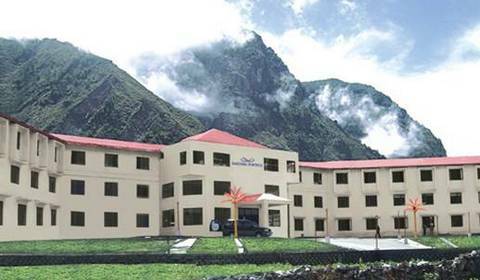 The hotel’s close proximity to some of the famous religious centres like Sri Draupadi Devi Temple, Sri Mata Murti Temple and easy accessibility to the Badrinath trekking route makes the stay at the hotel hassle-free. All the fully-equipped 56 rooms and suites are tastefully designed for offering lavish accommodation to each and every guest. Experience some of the best healing and rejuvenating therapies at the Ayurvedic Centre of the hotel. Enjoy mouth-watering food at the Sarovar-the fast food restaurant and Cafe in the Park- pure vegetarian cafe. Some of the state-of-the-art facilities offered by the hotel include business centre, centrally heated, express check-out, concierge, car parking, currency exchange, laundry cleaning service, bar, beauty salon, security, 24-hour room service, tea/coffee makers, shopping arcade, doctor-on-call, travel desk, secretarial services, breakfast services, picnic area, complimentary newspapers in lobby, medical services, luggage storage, boating, porter/bellhop and safety vaults. 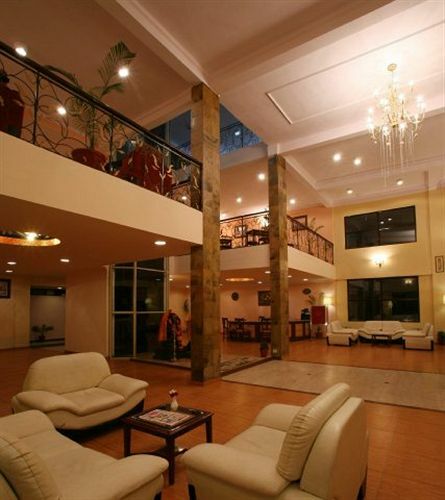 All these outstanding services make the hotel the first choice of every traveler. 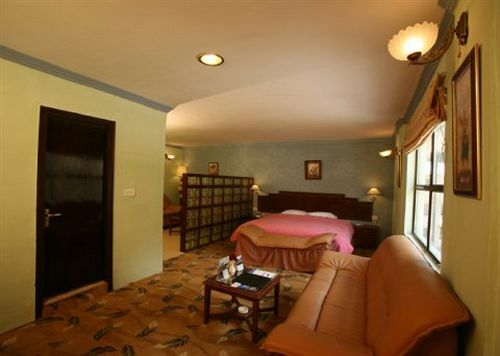 All the fully-equipped Deluxe Rooms are spread over an area of 408 square feet. 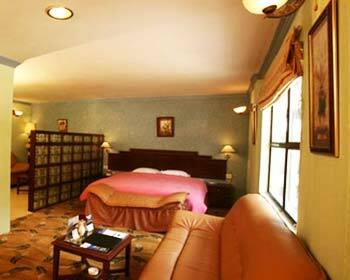 The decent and elegant interior of the room makes the stay more comfortable and ideal. Guests can enjoy stunning view of the snow-covered valleys from the room. Some of the facilities offered within the room include 24-hour in-room service, luggage space, carpeted floor, tea/coffee making facility, 24-hour in-room dining, bedside lamp, ironing service, laundry bag, slippers, complimentary mineral water bottle, channel music, sofa-bed, complimentary toiletries, complimentary daily newspaper, hangers, in-room menu, express laundry service, in-room heating, refrigerator and flat screen TV. Spread over a large area, the suites are designed artistically. 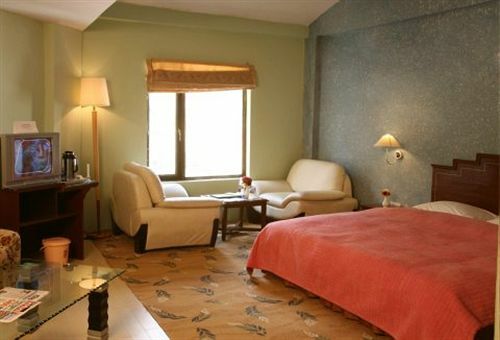 The fully carpeted suites offer world-class facilities along with astonishing view of the beautiful valleys. 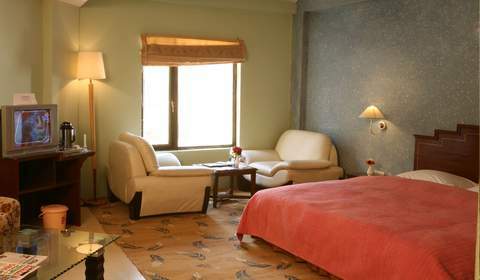 All the services offered within the room ensure a luxurious and comfortable stay of each and every guest. Some of the state-of-the-art facilities offered include flat screen TV, refrigerator, 24-hour in-room dining, slippers, complimentary daily newspaper, bedside lamp, channel music, in-room heating, laundry bag, tea/coffee making facility, hangers, 24-hour room service, complimentary mineral water bottle, ironing service, luggage space, bedside lamp, sofa-bed, in-room menu and complimentary toiletries. 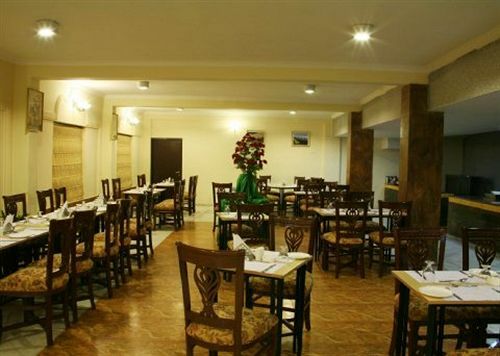 Sarovar is fast food restaurant more like a food court. Indulge in mouth-watering delicacies from a number of cuisines in the casual ambience of the restaurant. Enjoy some of the best dishes with your family, friends and loved ones. Maintaining the religious sanctity of the place, Cafe in the Park is an exclusive cafe serving pure vegetarian Indian dishes. 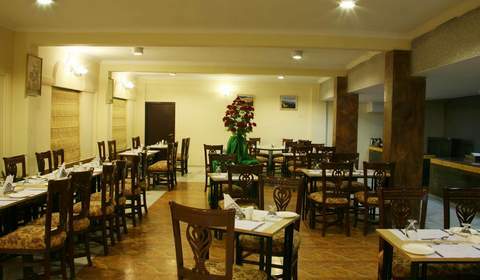 The cafe is the place to spend a quality time with family and friends. Guests can also savour some of the best dishes from different cuisines.